I found this bag of starfish I was all about the coastal decor. 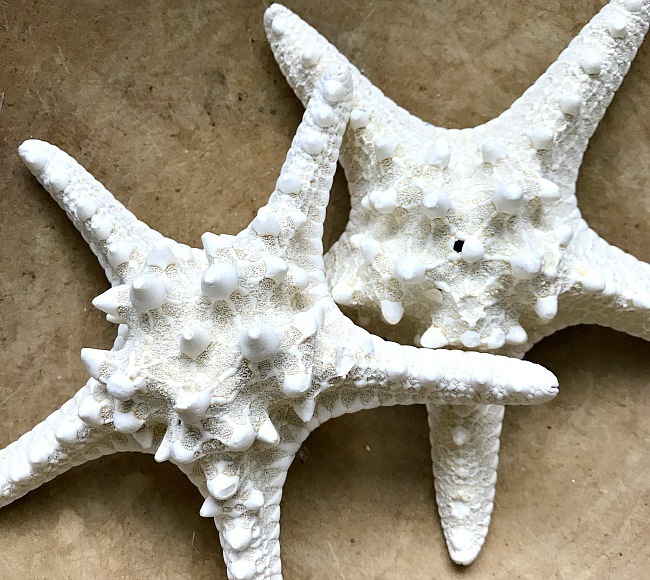 There was a lot of thought given to the fact that these starfish might be real or fake... You can read about the project that made my decision here. 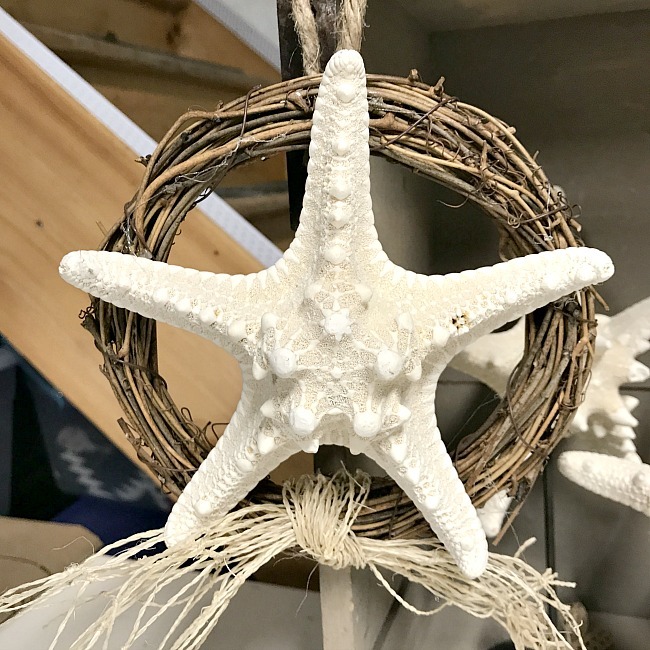 I was busy as a bee in my workshop making fun starfish projects for days. I'm including my affiliate links in bold blue text so you can find the products I use at no additional cost to you. The first one started with a small canvas made of pallet wood. I painted it light blue and gave it a white dry brush technique over the top. I attached the starfish with E6000 glue. 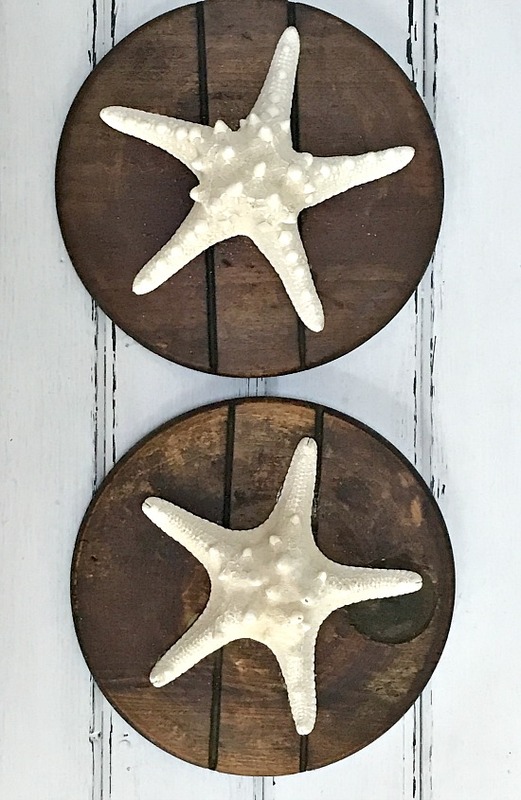 Another starfish project was similar only I used reclaimed wood from an old wire spool. Almost as cool as the starfish is the center of the wire spool... 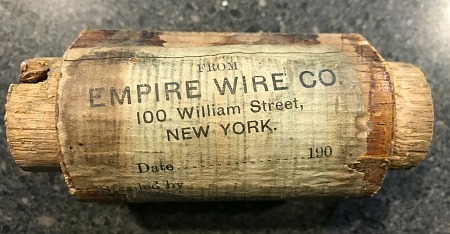 I've just got to find something do with this! I used hemp oil to condition the already beautiful wood then glued the starfish in place once again with E6000 glue. 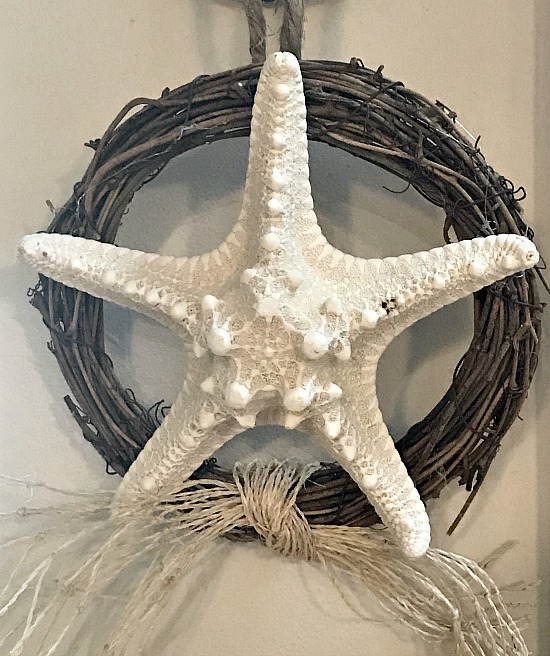 This project was just as quick and easy, I glued the starfish to a small grapevine wreath then attached the mesh bag the starfish came in as the bow. Another starfish project began with part of an old piece of furniture. 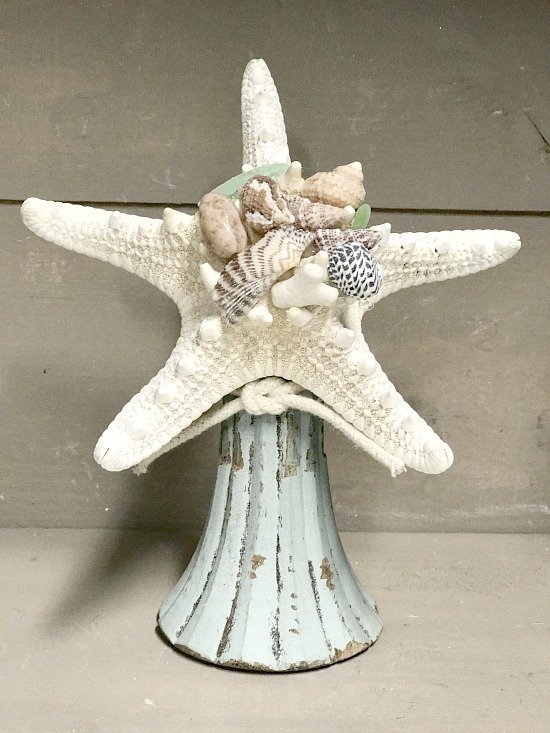 I cut the leg off at an angle then glued on the starfish. Using hot glue I added small shells and sea glass then tied on a nautical knot with cotton rope. 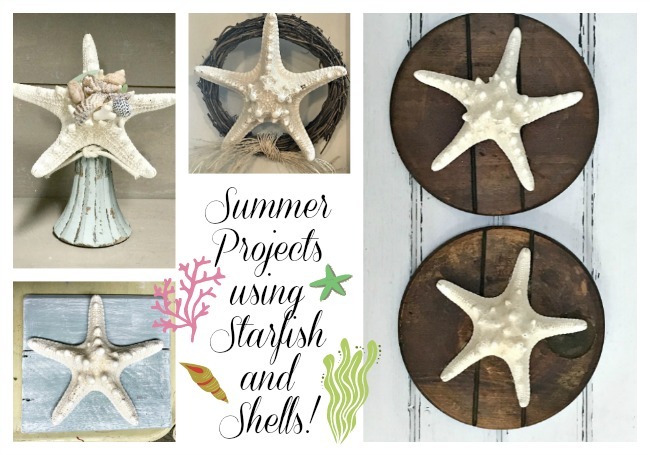 These were all quick and easy projects that create a whole lot of coastal charm this summer. 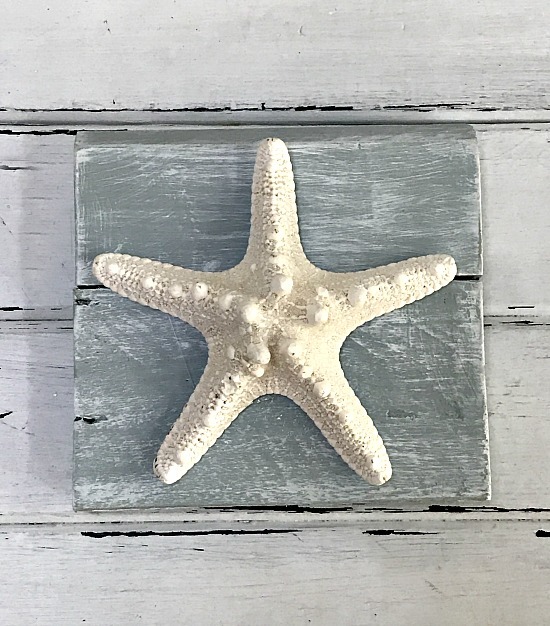 If you missed the starfish photo holders please take a look at them here.